Have you checked out www.QCTrails.org yet? Warm, sunny days are here, and it's the perfect time to log-in and set up your free user-friendly, interactive, and mobile responsive account that serves as a resource to highlight multi-purpose trails, parks, and side-paths in our community. The website can be used in real-time to track your physical activity and share with friends through social media. 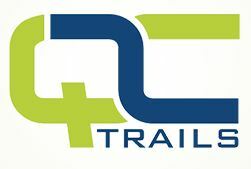 The Quad City Health Initiative and Bi-State Regional Commission developed QCTrails.org as a resource as part of Be Healthy QC to provide helpful information on using trails and staying healthy through physical activity.